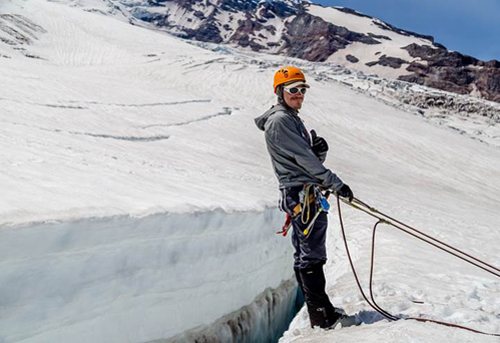 Born and raised in the Pacific Northwest, Devin has climbed extensively in the Cascades for nearly thirty years and guided for more than ten. His adventures as a rock climber, alpinist and ski mountaineer have taken him to Alaska, the California Sierras, Oregon, Idaho, Nevada, Utah and British Columbia. Devin is an adventurous spirit and enjoys sharing his enthusiasm for climbing with others.